The use of meditation or prayer beads is not a practice recently invented or introduced, but is archetypal in nature, and common to every great faith tradition. According to all major world religions, life's sojourn on earth is for the perfection of the soul. Historically, people the world over have enjoyed the assistance of a mala, rosary, or prayer beads, usually accompanied by the invocation of a divine name. Across religions, this powerful rite is believed to help guide the believer towards the path of self-realization and virtue. All sacred traditions hold that human beings are innately divine. 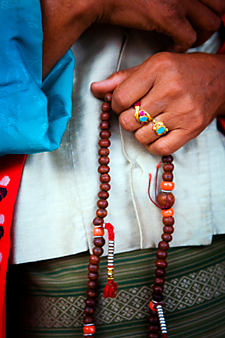 Spirituality helps to recover this true status, and the use of malas, rosaries, and prayer beads across different faiths has this goal as its particular focus. 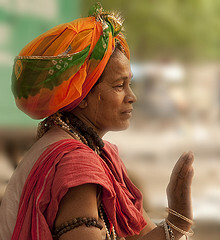 The use of rosaries in India is widespread among followers of the major religions and by others. 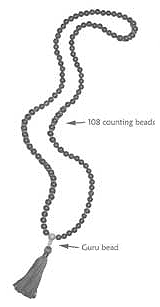 The rosary is believed to have been the invention of Brahmanical Hindus (as early as 1500 B.C. ), from whom the concept passed to the Buddhists. Around the tenth century A.D., conquering Muslims came into contact with Hindu and Buddhist practices and in turn adopted its use from them.